Linda and I have already made reservations at the Kaibab Lodge for this coming October. She reminded me that we seem to be on the road somewhere interesting on her birthdays over the past few decades. The upcoming road trip will be number 4 in the last 18 months to the Four Corners region of National Parks and Monuments. Last Fall, we called the North Rim Lodge of the Grand Canyon to reserve accommodations only to hear them say that we had a few hours to get there as they closed on October 15th to reopen May 15th of each year. When we arrived last month, every thing was booked within a 90 circle. So the only solution was to make plans in advance…just like all of our international excursions. We spent most of our two plus weeks on this trip in eastern Utah, southwestern Colorado, and northwestern New Mexico visiting the usual places again, but seeing more people we know as well. 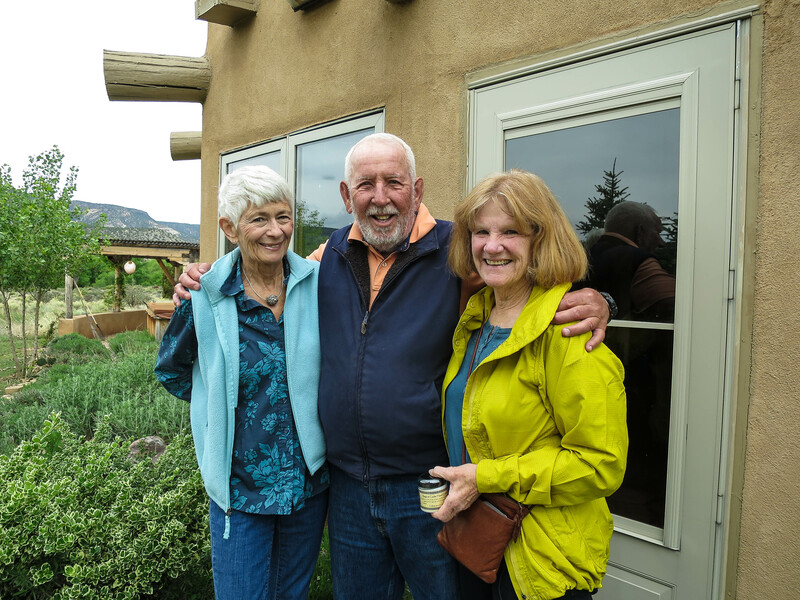 We stayed with Cairn and Truman of Abiquiu near Ghost Ranch; visited with Deb, Hope, and Adele in Ignacio; and spent the night with Charla Silverman in Salt Lake City. Disappointed with the congestion in Santa Fe, we immediately looped back to Los Alamos to discover a hidden gem of Bandalier National Monument wedged inside a High Security Area on highway 4. We also traversed the dirt road to Chaco Canyon National Monument for a delightful tour of those amazing Pueblos. 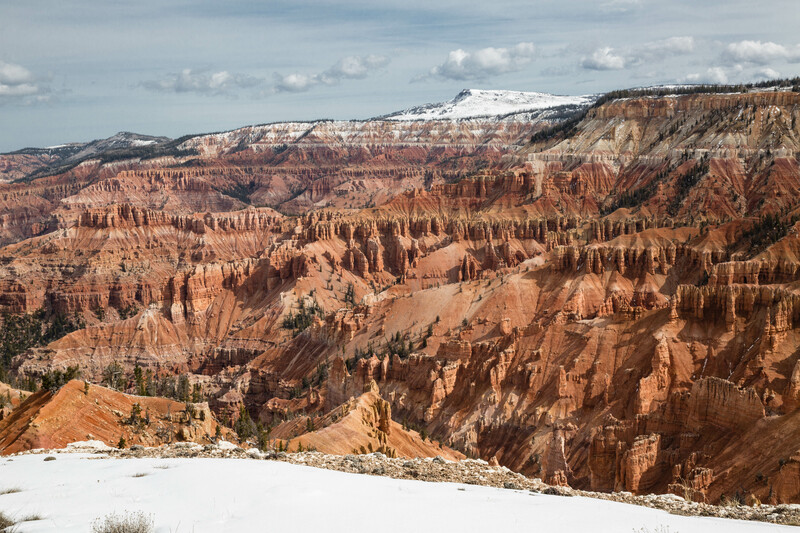 Cedar Breaks National Monument is a beacon for me. In 1992, when I was soaring out of Parawan, Utah, I would get my first thermal on the edge of these amazing rocks. The tree line in this photo is at 10,000 feet with that snow-covered peak at 11,000. Literally Breathtaking! Just beneath it is Brian’s Head Resort that we discovered last Fall. So we stayed there again on our way to SLC to see Charla. Both of us Licensed Pilots are still skittish about flying anywhere after last year’s health issues. So we keep going back to this wonderful area of our country. Each trip teaches us something new. For instance, El Bruno’s New Mexican restaurant in Cuba, NM (population teeny) is a packed place and a must stop for all traveling that highway between Albuquerque and Durango.